15 minutes to spare and some overripe pineapples and plums knocking about in the fridge and eh voila little squares of autumn loveliness. Pineapple: contains a compound called bromelain this is a protein-digesting enzymes thought to aid digestion. 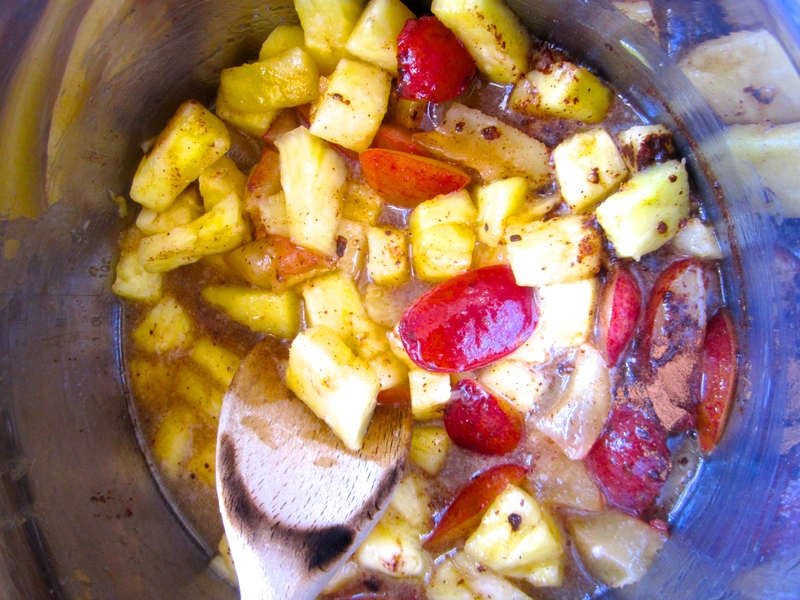 anti-inflammatory, an anti-coagulant, and is thought to have anti-cancer properties.Pineapple is bursting with vitamin C, and the mineral manganese, both of which help protect against cell damage caused by free radicals and manganese is also essential in producing several enzymes needed for energy production. Plums: low-calorie, low glycaemic index score (less likely to cause unhealthy spikes in your blood sugar levels), packed with vitamin C, which fortifies the body's defences against infection and increases the amount of energy-giving iron that we absorb from food.The phenolic compounds in plums, reduce inflammation and help neutralise oxygen damage to cells. NB red plums have been found to have a higher phenolic content than their yellow and green equivalents. Organic Oats:Very high in manganese, good source of selenium, tryptophan, phosphorus, Vitamin B1, magnesium and fibre. Therefore great at stabilising blood sugars, lowering cholesterol and giving you a long boost of energy. 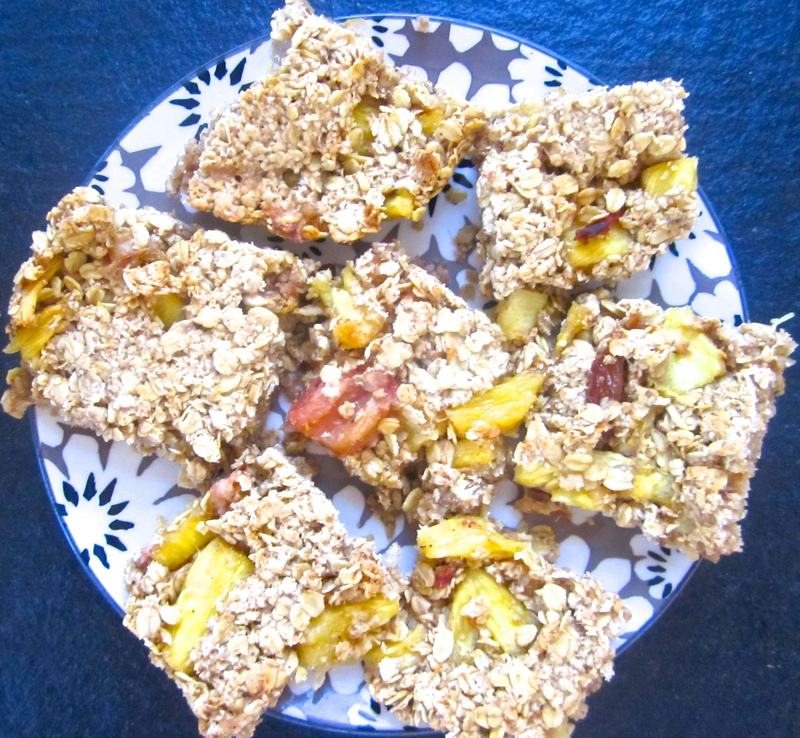 Share the post "Pineapple FlapJacks"